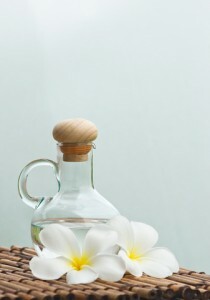 Essential oils are derived from specific plants and contain the aroma of the plant. They are known for having helpful properties and continue to be researched to not only find more of them but to fully understand their health benefits. A distillation process is used to extract the oils from certain plants. Essential oils can be found in perfumes, soaps, and cosmetic products, and they can be used for cooking purposes and within supplements and all-natural health-based products. You are about to find out about some specific oils and their uses so that you can better understand how these all-natural plant-based oils can benefit your life. 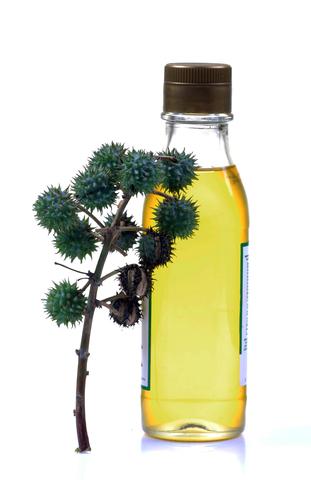 Castor oil is derived from a plant that bears its own name, the castor plant. The seeds are squeezed, and the almost colorless, odorless and tasteless liquid is then captured. It is used for a variety of purposes, including inks, plastics, hair growth, waxes, nylon, brake fluids, soaps and more. It is also widely known as an age-old laxative. There are many other great properties of this oil and also other uses. Sassafras oil is obtained from the sassafras tree through a steamed distillation process. The tree itself is an important dietary component for many types of wildlife including deer. Sassafras oil has many culinary uses including making the old-fashioned sassafras tea. It has also been known to be a base for manufacturing MDMA, so the supply of this type of oil is being closely monitored. Argan oil is a more difficult oil to harvest, and it is mostly found in Morocco. It has made its way into many beauty products, and it has many beneficial properties. Some people actually use it for their dishes when cooking. As for base benefits, it works wonders for your skin, hair and nails. This oil is pressed from the seeds of a particular wild rose that was originally found in the Andes. People from Europe and South Africa also produce this oil. Rosehip oil is said to have many healing properties especially for the skin. It can help with skin conditions like acne and dermatitis. And, it is used to help reduce scarring and is even an anti-aging agent. You hear the name cinnamon, and you’re probably thinking cinnamon rolls and all kinds of other tasty treats. Cinnamon oil is manufactured from bark and is known for being anti-bacterial and anti-fungal. Aromatic breathing of this oil is supposed to help the respiratory system, and studies show that it can also help diabetics regulate their blood sugar levels. These are just a few things about cinnamon oil, and there is much more. Have you heard of linseed oil? If you haven’t, you have probably heard of flax seed right? Well, the linseed oil is actually cultured from the flax seeds that have been ripened and then dried. This oil has a unique drying property which allows it to be mixed in with other oils and ingredients as a binding agent. Finishing products, linoleum, paints and more end up with linseed oil as an ingredient. Also edible, this oil works as a supplement that has powerful antioxidants known to help with cancer prevention, specifically prostate cancer. Jasmine oil is one of the more expensive oils and requires a complicated extraction process. However, it is an oil widely known for its wonderful scent, and it also has sedative properties when aromatically introduced. This is one of the oldest produced essential oils in the world, but it is less produced today than it was in the past. It is used in vegetable oils, as a dye for white paint, as a dietary supplement to help regulate fatty acid and blood sugar levels and much more. With as long as it has been around, there is almost nothing this oil has not been used for it seems. Almonds themselves come from trees and are not exactly a real nut. Many people do not know this, but almonds are seeds of the tree, and they are extremely rich in oil, making almond oil very easy to cultivate. Alone, they are very high in both omega 6 and omega 9 fatty acids. Almond oil is very good for your skin, and it can also be used to condition certain woodwind instruments. It has also been used by massage therapists as a lubricant. 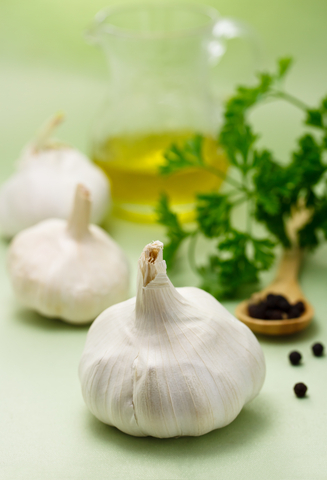 Clove Oil is extracted from the Clove Plant, and it has some very unique uses. First, it is often used in dentistry for antiseptic purposes. As well, it can be used within sprays to prevent cats from messing with certain areas. Third, it has been used for microscopical preparation. And lastly, it has traditionally been used for toothaches among many cultures. This is one of the most widely-used essential oils, and it also one of the oils that keeps for the longest on your shelf. It can be used a very hydrating skin moisturizer as well as an oil to help your hair stay protein rich. It has industrial uses, a plethora of culinary uses, and so much more. At the mention of lavender oil, you are most likely thinking about the smell. It produces a beautiful smell, and aromatically can help reduce headaches, stress and anxiety, helping to promote overall relaxation. The largest producer of lavender oil in the world is Bulgaria. Rosemary itself is a flowering herb used in cooking. The oil is derived from this herb and is regarded for its aromatic qualities as well as being used in certain cleaning products and shampoos. When used for culinary reasons, it provides boosts in calcium, B6 vitamins and iron. There are many more essential oils that are used for a variety of industrial, personal, culinary and other reasons. Some oils are more rare than others, and some of the benefits of these oils are more widely known. This piece has put on display 13 essential oils for you so that you are introduced to their valuable properties and benefits. We will slowly add here information about all essential oils. It will take some time since we want to provide in-depth articles on every essential oil.